Does Lifestyle Affect Male Fertility? Research suggests young urban Indian men suffer from infertility and the numbers are rising. The sperm count of a normal adult male in India has plunged to about one-third of what it was three decades ago. About 20% of couples are unable to have a baby; and in over 60% of the cases it's because of low sperm count in men. 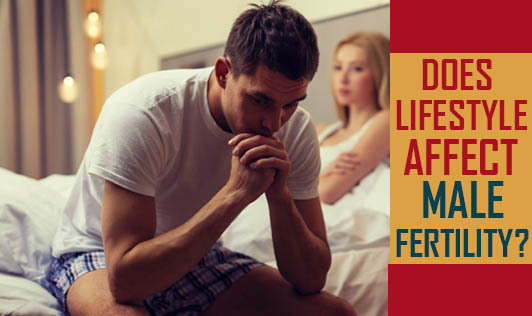 Some infertile men are able to change their fertility status with changes in lifestyle and guidance from the doctor. Many of the above factors can be tackled with the help of a fertility specialist.